So let us tell you a little about our local rich history so you too can see why we want to be your Eugene Home Remodeling Contractor. At the age of 20 Forrest moved to Eugene. His first job here was cooking at Poppi’s Anatolia, a restaurant that has been a Eugene favorite. After working in the restaurant industry for a few years Forrest’s interests turned to construction, and he then formed his own company. Castile Construction, Inc, established in 1997, has been serving Eugene and other local areas ever since. Jen moved to Eugene in 2004 after living for a short while in neighboring Springfield. The Eugene and Springfield area is a place Jen has always been familiar with, having visited every year as a child with her family. Jen moved to Eugene to work for the University of Oregon, home to the ever so popular Oregon Ducks. Soon after Jen moved to Eugene and met Forrest. In 2008 they were married in Vida a small town East of Eugene. In 2008 Forrest and Jen purchased a small 1920’s home in the heart of downtown Eugene which they continue to renovate. They live next to the bike path and the community garden with a wonderful view of Spencer’s Butte in the background. Forrest and Jen have two kids that were born at McKenzie Willamette hospital, located in downtown Springfield. Forrest and Jen enjoy so much of what Eugene has to offer. Eugene is centrally located so it makes easy travel and access to the coast, Portland, Bend and the mountains. They enjoy the diversity that Eugene has to offer, especially Eugene’s Saturday market, the unique Whiteaker neighborhood with all the shopping and restaurants it has to offer,the Oregon Country Fair, and many outdoor activities. Castile Construction is a family run business that has been doing business in Eugene for over 20 years and we hope to have the opportunity to work with you. We serve all Eugene zip codes including 97401, 97402, 97403, 97404, 97405, 97408 and 97440. Learn more about the city of Eugene here. One of Castile Constructions goals is to be the contractor of choice in the “Best of Eugene”, a poll that is taken yearly. We hope to maintain this position for the years to come as we beautify Eugene, one home at a time. Take a look at this recent Whole Home Remodel finished in East Eugene. To learn more about the Kitchen shown on top, please visit our Eugene Kitchen Remodel or Eugene Modern Kitchen Remodeling pages that shows a short story including the after and before transition. 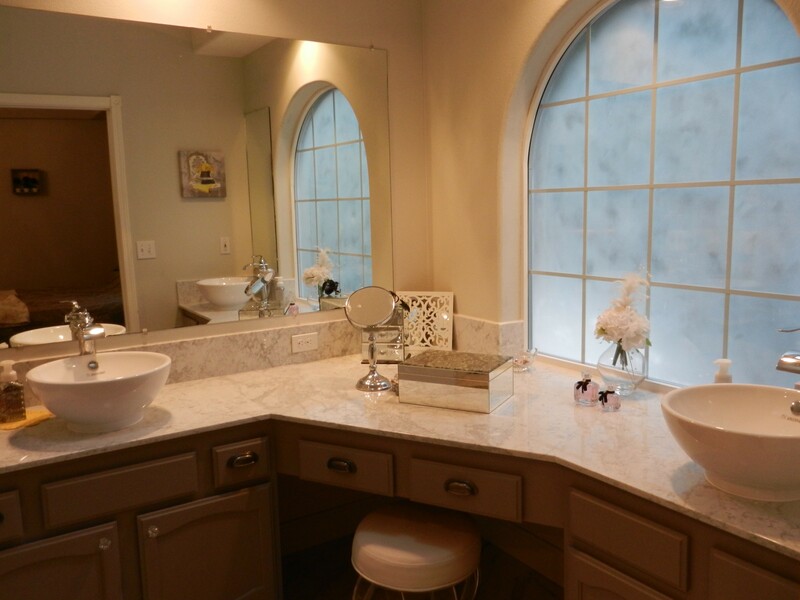 Or perhaps you would like to learn more about a recent Eugene Bathroom Remodel that is shown on the other picture. Castile Construction is Certified in Universal Design through the National Association of Remodelers (NARI). This furthers our commitment to helping design your Remodel vision to completion. 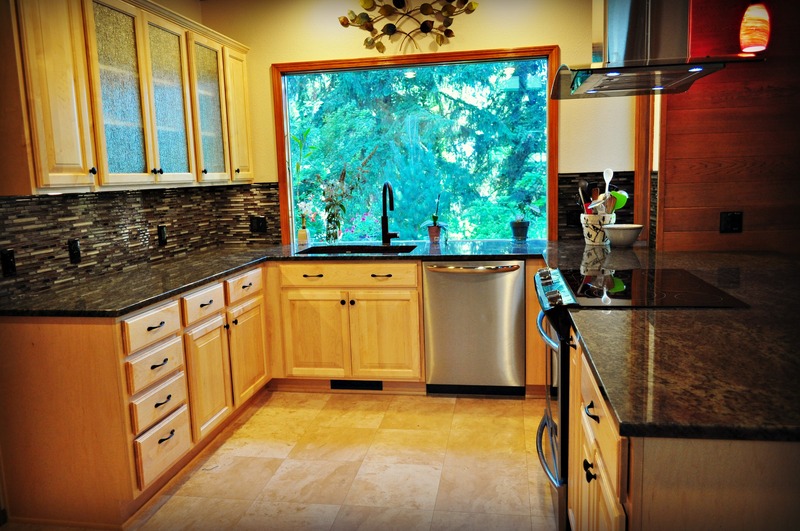 Contact Castile Construction today to discuss us becoming your Eugene Remodeling Contractor. We welcome the opportunity to meet and work with our neighbors.